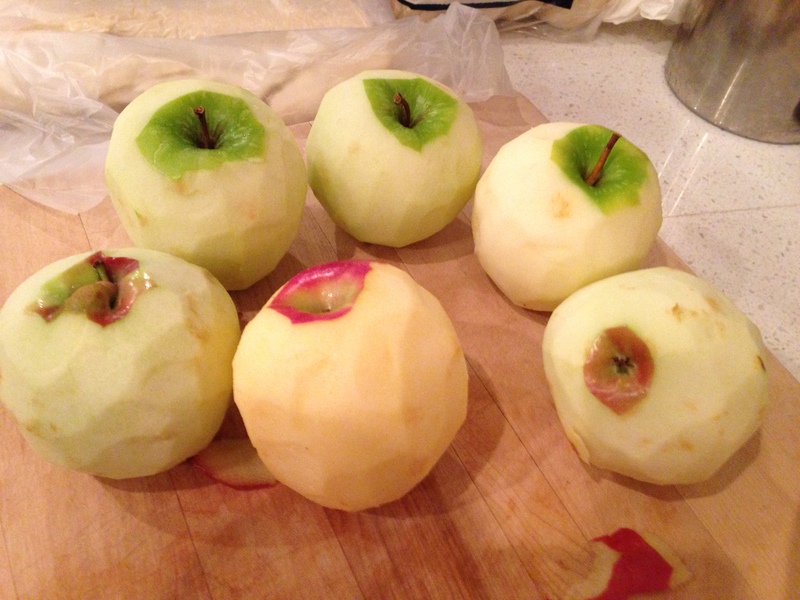 I have been loving all the great apples that are in season. 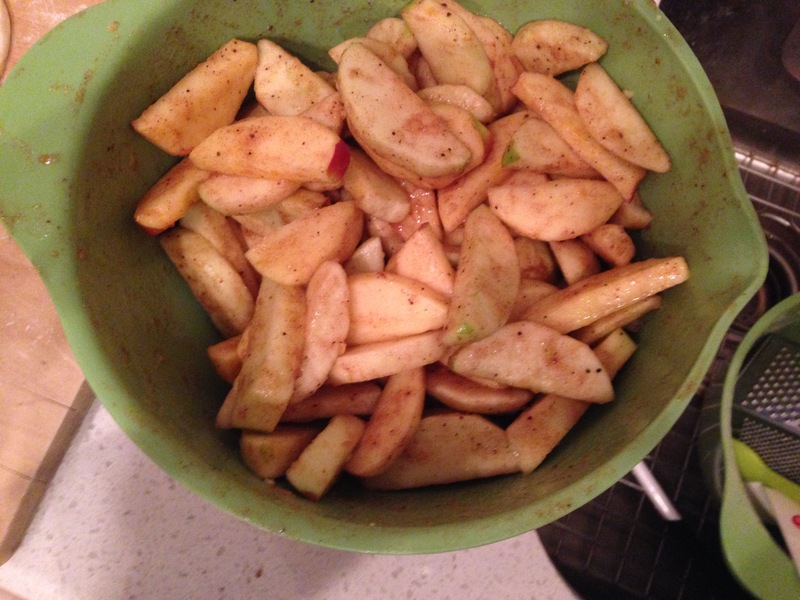 So, I’ve been itching to make an apple pie. I texted my foodie friends Yangsze and Sue. 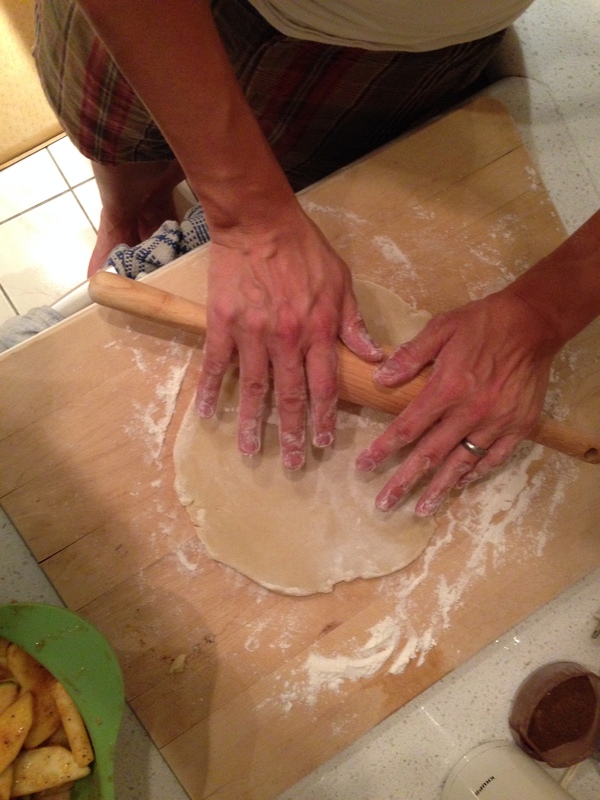 They sent me their favorite pie recipes, which took me to SmittenKitchen.com. 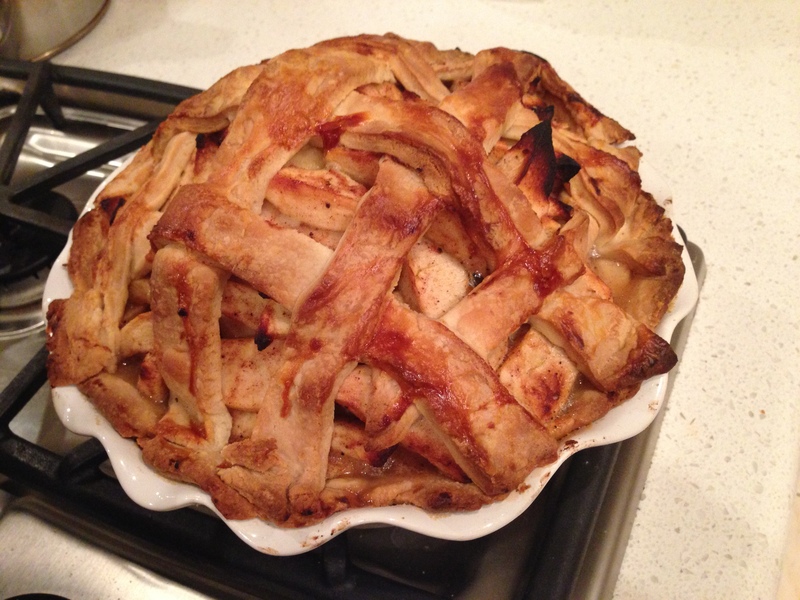 I followed SmittenKitchen’s recipe and even did the lattice crust top. 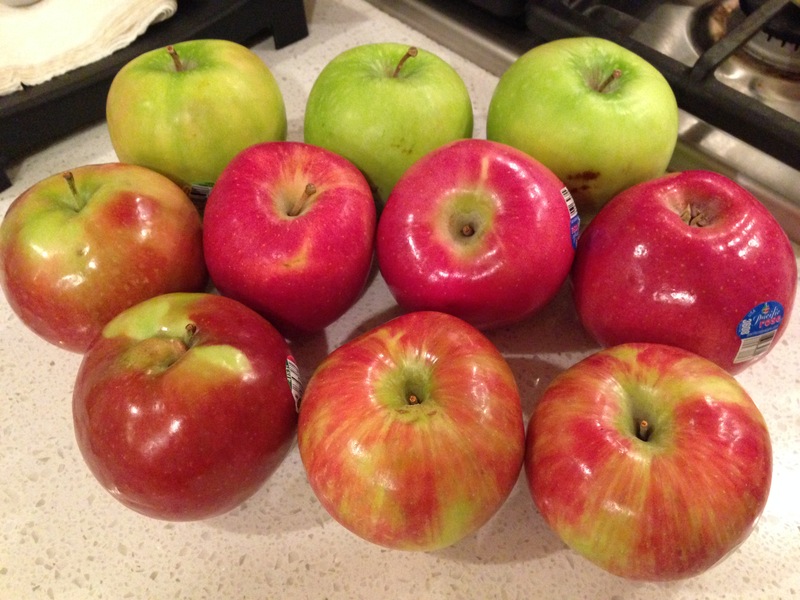 I bought a bunch of different apples: Grannie Smith, Rose, Braeburn, and Macintosh. 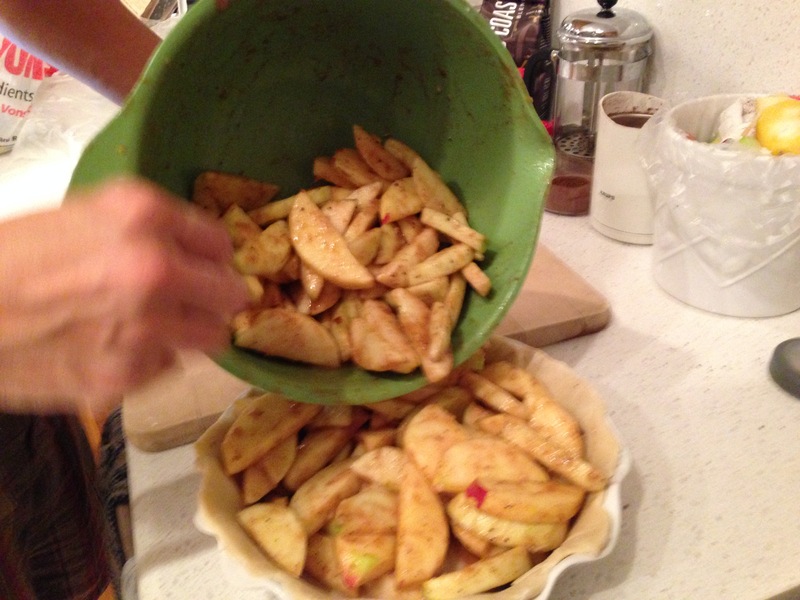 Irene helped chop. 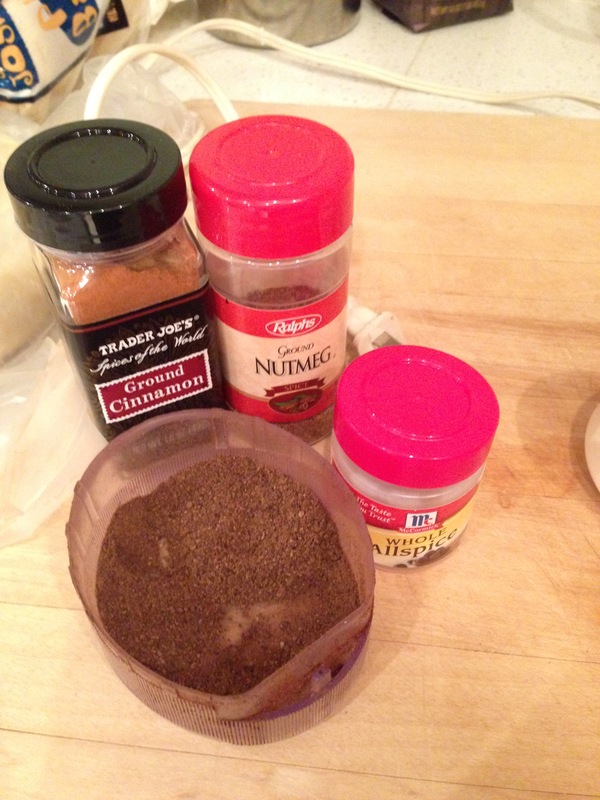 I ground the allspice, since it was seed still from the brining of last year’s Thanksgiving Turkey. I cheated on the crust (Trader Joe’s) cuz I was running low on time and out of shortening. 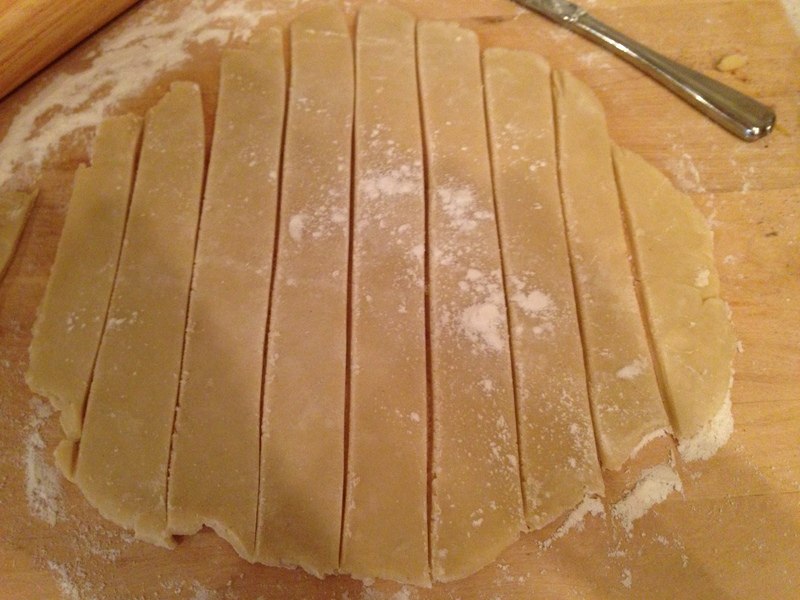 I did ball it up and roll it out again and try my hand at the lattice top. 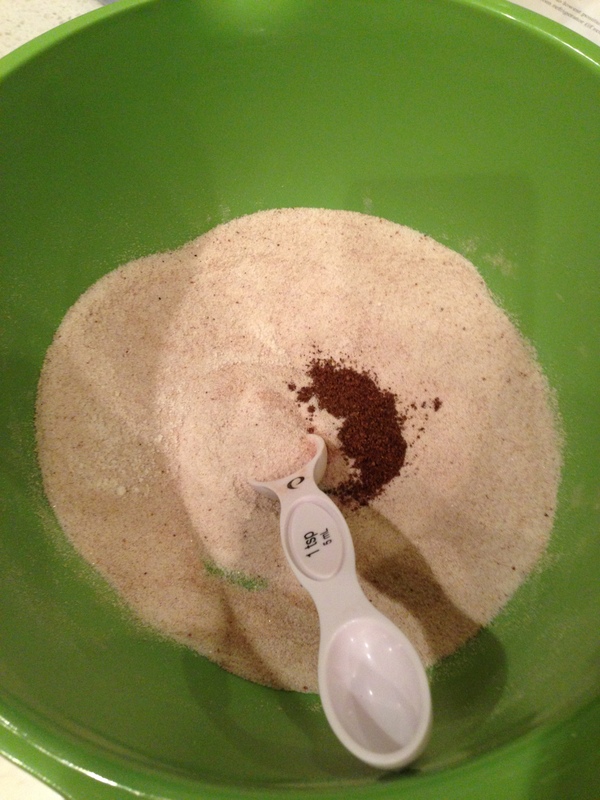 With 2 minutes to go on the baking, I had to go run and pick up M from Marching Band practice. I left BK sitting in front of the oven with explicit directions to watch for bubbling and then turn off the heat and open the oven door and I’ll be back in 4 minutes. He did great. We couldn’t wait for prescribed 4 hours. We dug in and topped it off with vanilla ice cream. Yum! 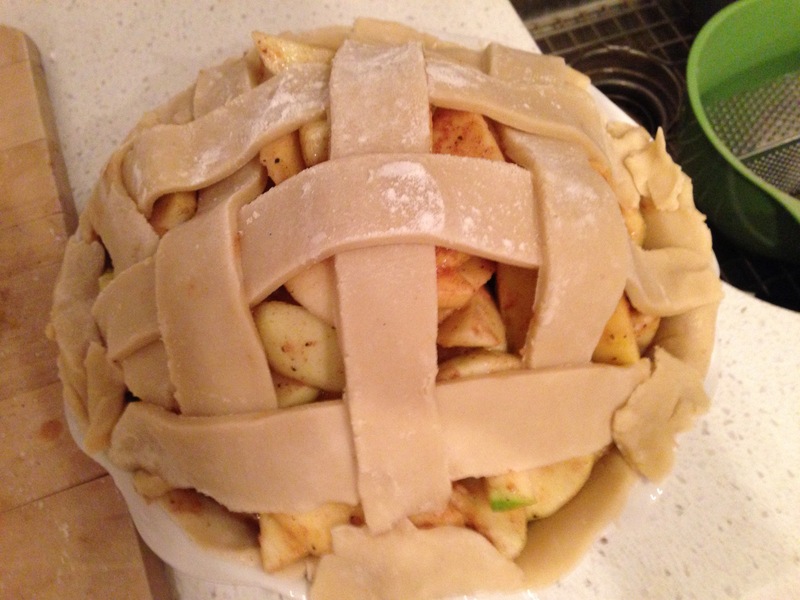 Our fall is now complete with Home Made Multi-Apple Pie. 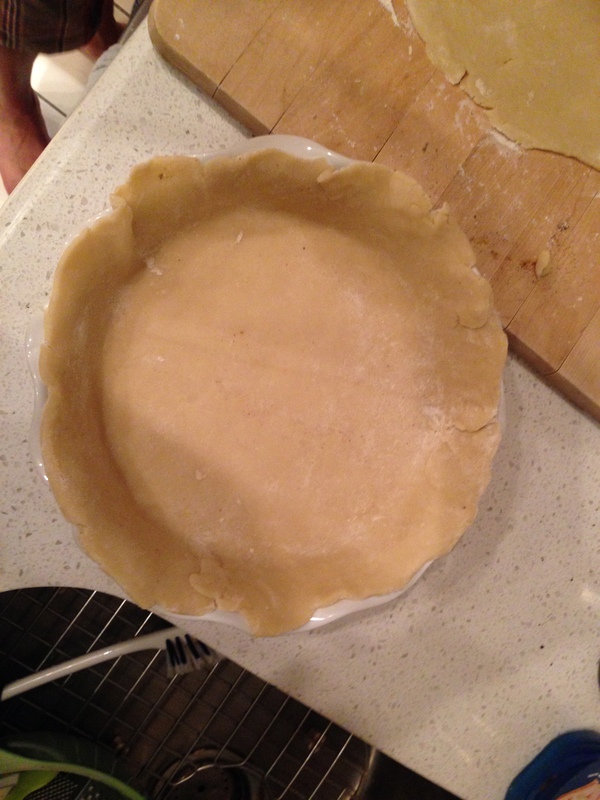 Oh, and of course, I had to buy a new pie dish from Crate & Barrel.